Ageing, its relationship with chronic non-communicable diseases and technology, was among the issues St Vincent and the Grenadines Prime Minister, Hon. 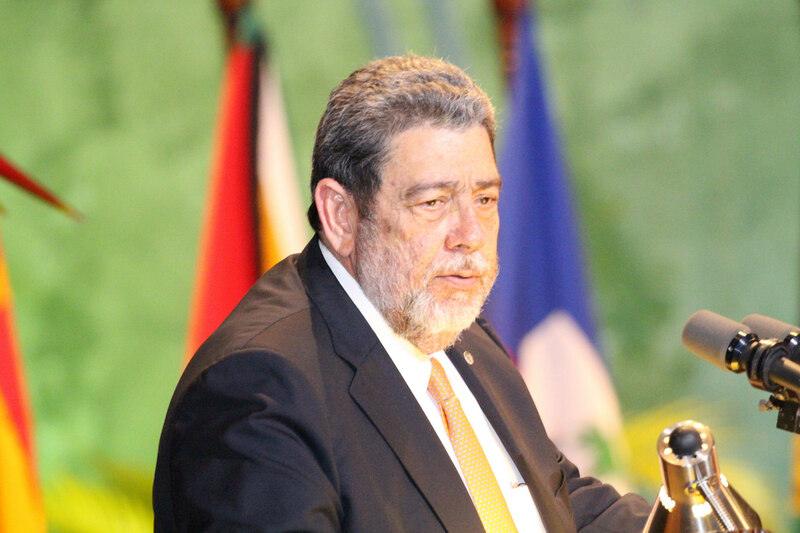 Ralph Gonsalves, called attention to yesterday, 4 July ,at the opening of the 37th Regular Meeting of CARICOM Heads of Government. The Prime Minister who entreated the Community to look at the issue of ageing said that the Caribbean population was getting older and serious thought should be given to the matter. Citing statistics for his own country, which he said were similar elsewhere in CARICOM, Prime Minister Gonsalves drew attention to “a 30 per cent increase in the over 60 population” in the censual period 2001 and 2002. He stated - “in addition to chronic NCDs, we have to look at the question of ageing and think seriously about the issue”. Though not on the Agenda of the meeting, the Prime Minister noted that it had “implications for a range of social policies for the Region”. In this same vein, the prime minister raised the question of “human level artificial intelligence which he said also had immense implications for the Region, hence the need for it to be addressed. “By 2045, it is held that robots would be everywhere as computers are today; performing functions which we perform in a normal way, how is that to be addressed”, he asked?. The Prime Minister called on all responsible leaders in the community, political leaders, scientists and other community members to be concerned with these issues. The Caribbean has been recognized as one of the fastest growing older populations in the developing world. According to an ECLAC Brief (2015), “young societies of the past are giving way to communities where older persons form a much larger portion of the total population”. The report indicated as well that the age structure of the Caribbean population will change appreciably over the next 20 years. The issue of ageing has been on the Community’s agenda close to two decades. The Caribbean Charter on Health and Ageing 1998 has as its guiding principle, a coordinated, systematic approach to ensuring the health and full integration of older persons in Caribbean societies and economies. The Charter was adopted at the Second Meeting of the Council for Human and Social Development (COHSOD) in 1998, and launched in 1999, the year in which International Day for the Elderly was celebrated. It recognises the principle that "health and wellness encompass the need for preventive strategies, creation of supportive environments and the availability of senior-friendly goods and services". The Charter acknowledges "the importance and key role being played by voluntary organisations in promoting the well being of older persons and the need for the strengthening of these institutions". Like the Charter, the Region's vision of health as articulated in Phase II of the Caribbean Cooperation in Health Initiative (CCH II), addresses the issue of the health of the Elderly. In this regard, CCH II identifies six health promotion strategies for implementation: These are: Healthy Public Policy; Re-Orienting Health Services; Empowering Communities; Creating Supportive Environments; Developing Personal Health Skills and Building Alliances. Among the specifics of these strategies are: developing and strengthening polices on ageing;. developing a Bill of Rights in support of the elderly; sensitising health workers about the special needs of the elderly; strengthening Primary Health Care (PHC) services targetted at the elderly; establishing norms and standards for institutional care of the elderly; working with care givers to ensure that standards of care are being met; preparing adults for healthy aging; educating the elderly on ways to maintain and improve their health; and collaborating with government organisations, Non Governmental Organisations (NGOs) and the media. More recently in 2014, CARICOM agreed that building the social resilience of the Community was one of eight priorities in its Strategic Plan for 2015-2019. Mainstreaming inclusiveness in public policy with a focus on Gender, Persons with Disabilities, and Age has been identified as one of several strategies, in this regard.